Ooo! I love that you took an illegal picture as much as I enjoyed your photos. Can't wait to see what resides in the fishbowl. 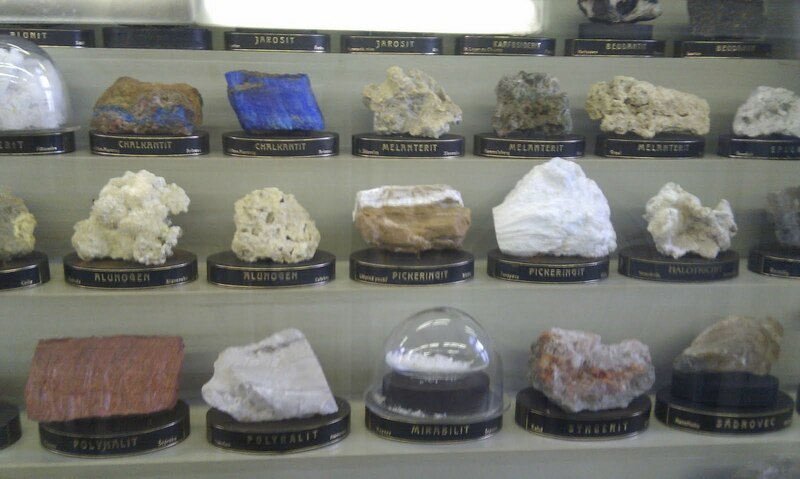 I especially love those rocks you can't carry home with you. Such a nice post, and how cool to be taking a Geology Class. Lots of luck, and thanks for the peek into that Museum! so, I assume you will be bringing home a ROCK from your trip?? Ummm, is that ROCK you wanted to bring home located on the coast of California? it looks like Big Sur (near the waterfall that pours into the ocean). Have a safe trip with all your "darlings" and stay healthy! Isn't taking classes to keep your learning fire going so much fun? I love all the sciences and geology is so incredibly cool, it sounds like you have a real rock hound attitude already :) I loved your "big rock" picture, I'm with Christine, it sure looks like Big Sur or maybe the Lost Coast? Thanks for sharing and looking forward to your post next week!